The new feature let businesses push specials to you when you’re nearby without making you feel like you’re getting spammed. Plenty of people open up Foursquare not to check in but to use the Explore feature to look for a new bar or restaurant, see what friends are up to, or, most importantly, revisit favorite haunts in search of new tips and specials. These users are more interested in knowing what their favorite businesses are up to when they’re not there, rather than when they’re already checked in. Chalk it up to FOMO. 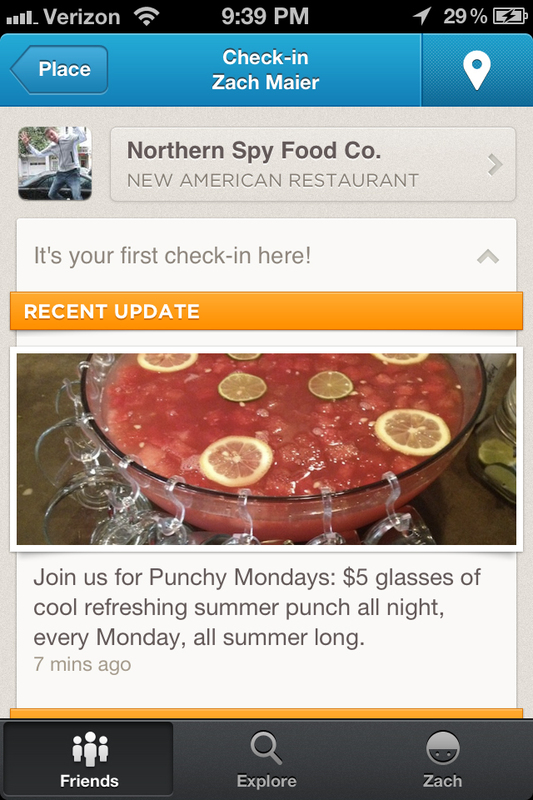 Foursquare’s new Local Updates is just for them. The feature, launching today, lets your favorite businesses send you text, photo, or specials updates that clue you into what they’re offering, even when you’re not physically there. So if you’ve liked a business on Foursquare or checked into one several times, you’re considered a loyal customer, and will automatically start receiving their updates. True to its namesake, Local Updates only lets merchants push specials at you when you’re nearby and thus reasonably able to swing a visit. Local Updates is a nice follow-up feature to Foursquare’s recent redesign, which aimed to help users discover–rather than intentionally search for–places they love. Local Updates takes the discovery one level deeper, allowing you to discover hidden gems within the businesses you’ve favorited–a great new menu item, or an interesting event happening that weekend. And because they’re location-triggered, you won’t hear about a new dessert at your favorite San Francisco restaurant if you live in New York. For merchants, the feature is a very useful way to make sense of their own corner of Foursquare’s 20 million users and 2 billion check-ins. Foursquare is also introducing a revamped merchant dashboard with granular analytics that let businesses see which updates are pushing customers to recommend the business to their friends, and, ideally, to check in themselves. “Merchants tell us, ‘Hey, I have all these people checking in, but I have no idea who they are or how to share interesting things that are happening at my business that might make them want to come in more often,” Weiss says. It’s easy to see how this could become a user nightmare: If I check in at the drugstore as often as I do my favorite clothing store, that in no way means I’m interested in getting frequent updates about toothpaste specials. So Foursquare added an opt-out feature that lives in your account settings, where you can toggle off updates you don’t always want, while keeping the ones you do. 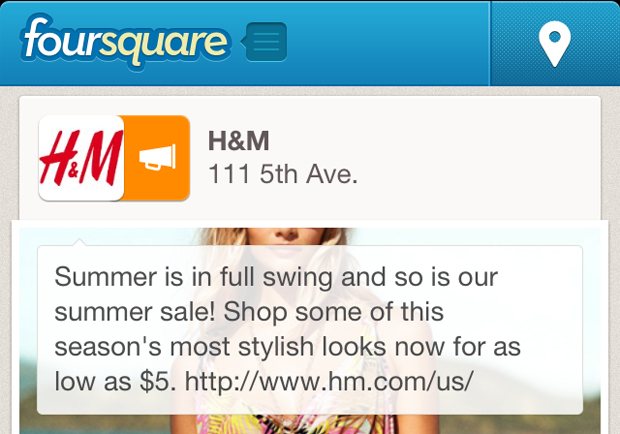 Foursquare hopes it’s enough to put spam-wary merchants and customers at ease. Foursquare says Local Updates is just the beginning of a bigger effort to build out tools that simultaneously benefit the more than one million businesses on its platform and new types of users. Of course it all bolsters the value of Foursquare in the form of more merchant partners–and begins to make us wonder how long these evolving merchant-side services will remain free. Christina is an associate editor at Fast Company, where she writes about technology, social media, and business.